The Wandering Palate will be heading to Queenstown and the Central Otago Pinot Noir Celebration 2016 (Jan 28-30), one of the best pinot ‘parties’ on planet earth, or Middle Earth as it were. 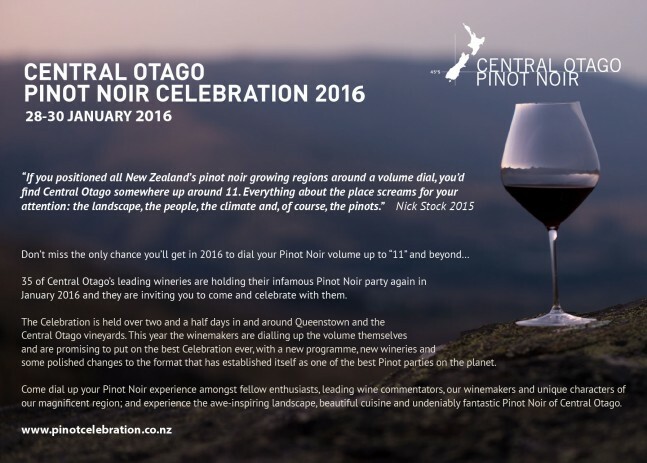 Indeed, I have been to almost every CNPN gig since the inaugural celebration back in 2001 and can assure you it is one of the most enjoyable and dynamic wine events you will experience moreover in a most spectacular setting. The wild fermenting gaggle of Central Otago vignerons have evolved like a Band of Brothers; all to a varying degree recalcitrant, insubordinate, revolutionist, mischievous, ingenious, jocular and witty but in the Neo-Darwinism of the New Zealand wine industry, they are the dynamic – the avant-garde. They are above all, pinot noir producers, a certain nonconformist genus that has a different polymorphism and charisma to say, cabernet sauvignon producers who are invariably straight-laced people, making rigid, prudish (Bordeaux-style) wines. These Central Otago rebels with a cause are however genuinely altruistic and beyond their bonhomie and flippant masquerade is a resolute and earnest determination to achieve distinctiveness. 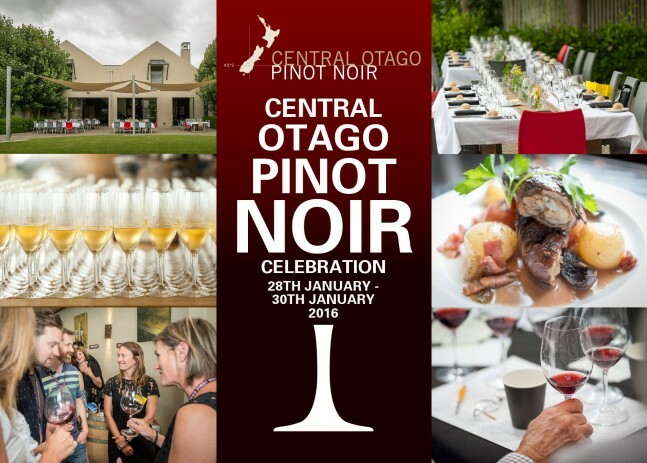 The Central Otago Pinot Noir Celebration has established itself as one of New Zealand’s premier wine events bringing together the wine world’s leading writers and commentators, together with wine and food enthusiasts to experience Central Otago’s best wine, cuisine and sights. The Celebration is held over two days with a comprehensive yet relaxed programme of events, aiming to celebrate pinot noir by taking advantage of the legendary hospitality that Central Otago winemakers provide.